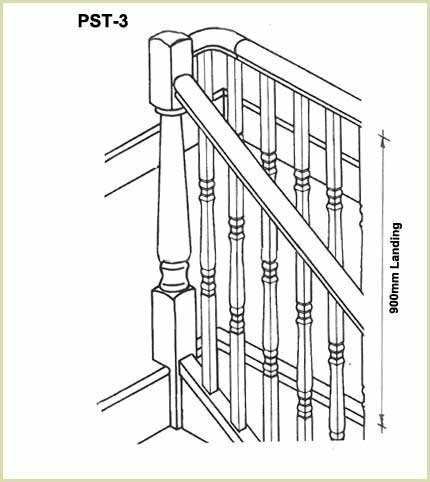 For all of your newel post needs, head straight to Pear Stairs, where we boast a wide variety of some of the most contemporary styles around. 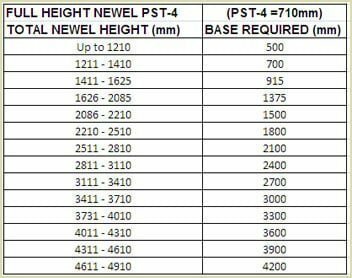 Whatever length of newel post you need, we can provide you with a post which fits your exact specifications, in standard square, stop chamfered, fluted, stop ovolo, and turned staircase designs. 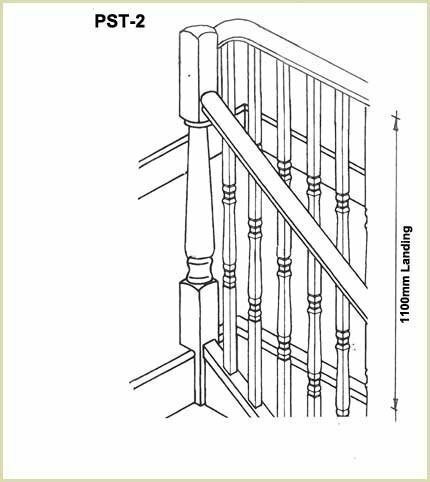 Pear Stairs newel posts come in many stunning styles, from standard to decorative, so whatever your design tastes, there’s something here for you. 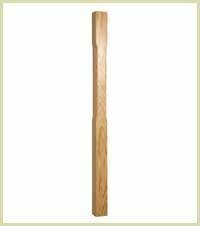 As our newel posts can be purchased quickly and securely online, and delivered within a short matter of days, your stairs will look amazing in no time at all. 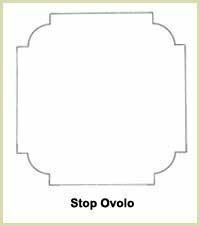 Pear Stairs Square, Stop Chamfered and Stop Ovolo newels are easy to purchase and construct. The clean lines of the square newel will never go out of fashion. and texture of the wood. 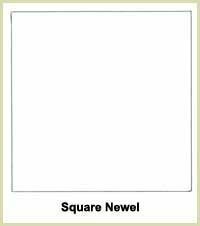 The above newels can be used as shown in the drawing below. 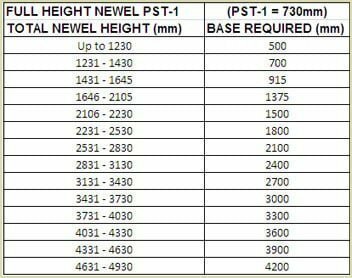 This is the cheapest means for manufacturing staircases. 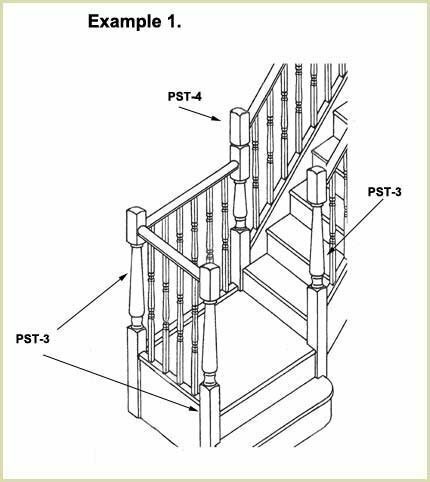 The length of the newel to purchase for the landings, top and bottom of staircases are, in most cases 1500mm long, it depends on the style of staircase and how deep your trimmers are. 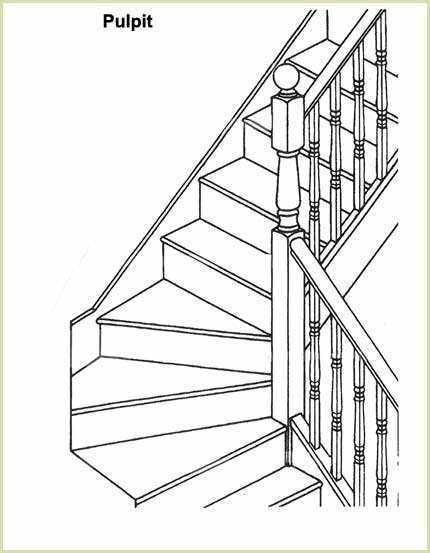 Pear Stairs sell more newels this length than any other length available. 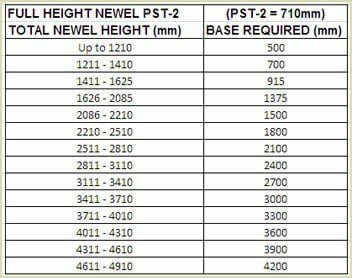 So for example, if you measure an existing newel at 2050mm you have to purchase a newel 2400mm long. You can cut it to length when it arrives on site. The Georgian style is our most popular choice. 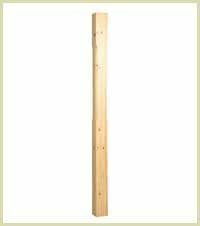 Shown here in Pine, available as standard in 90mm, 70mm and 83mm are also available upon request. With its elegant but simple design it will suit most styles of home. The fluted version of our Georgian range is shown here in Hemlock. The fluting adds an extra touch of elegance to this classic design. The Oxford style is an alternative design to the Georgian, a more rounded look but still distinctive and attractive in any home. It is shown here in Ash. The beautiful Oxford range is enhanced by elegant fluting. Shown here in Sapele. For those who desire something a bit different, the Provincial range offers style and sophistication. Shown here in Oak. 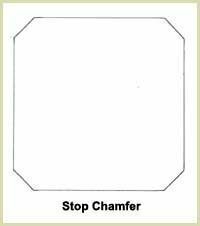 A more traditional design which can be used on its own or with a plainer style to create a stunning look. Shown here in Hemlock. 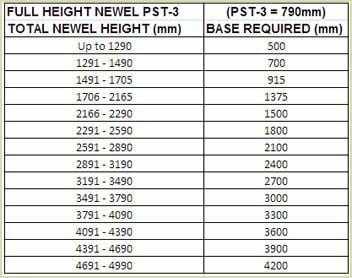 Please Also Note - All spigotts on bottom of newels are 50mm diameter. 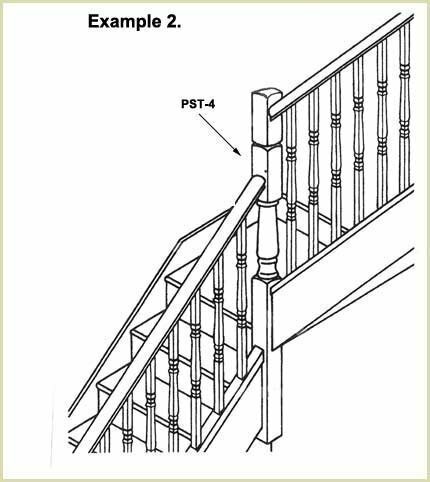 Usually used to match older staircases, more vogue nowadays to use the longer PST-3. A PST-1 is rarely used nowadays. Was used at the bottom of a staircase. again rarely used, so used in special situations where handrails meet at different heights. 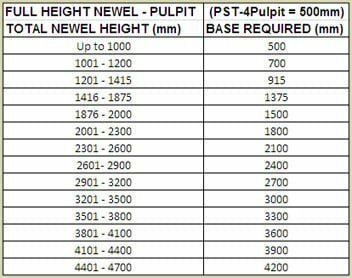 The most used newel post type that Pear Stairs has in stock. Used in landings, especially where the horizontal landing rail meets an up coming sloping rail. 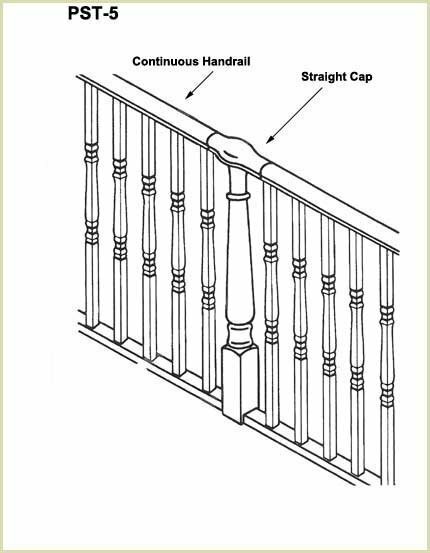 Used where the handrail passes over the top of the continuous handrail newel. 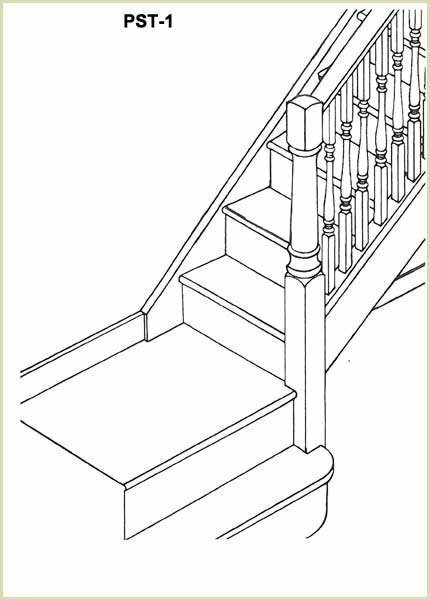 This is called a "dog leg" staircase with a bullnose step. 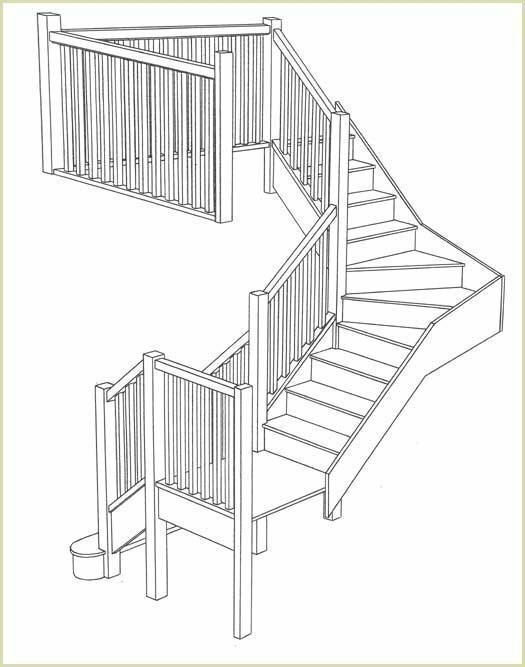 This is a quarter turn staircase with landing. 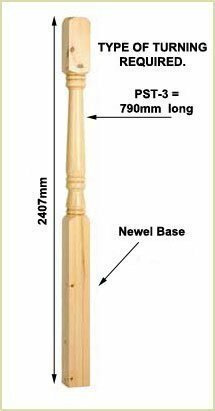 To work out the length of the base for your turned newel. For Landings, bottom of stairs and top of stairs. 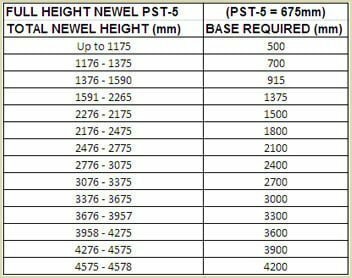 you require a PST-3 (turned newel) and 700mm newel base. If you are concerned at all about your choices, remember you can always phone Pear Stairs on 01938 553311, we are a very friendly helpful company. 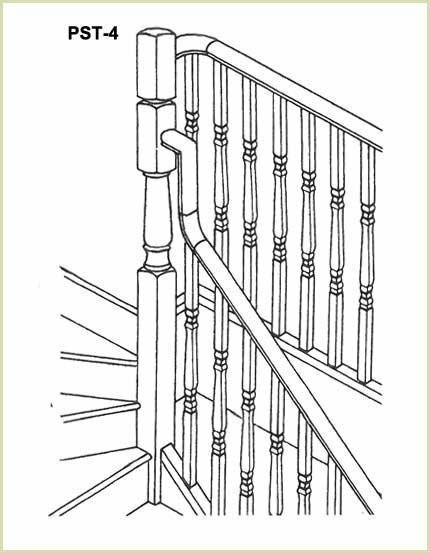 Pear Stairs sell newels in all shapes and sizes, but remember if you have any questions don't hesitate to phone us about your newel choice. We are a very friendly company, phone Pear Stairs on 01938 553311.